Students read the question and place their pictures or names on either the like or dislike side. 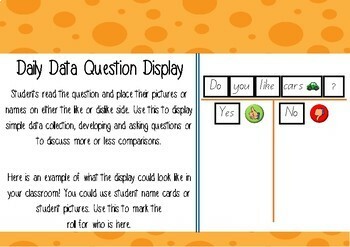 Use this to display simple data collection, developing and asking questions or to discuss more or less comparisons. You could use student name cards or student pictures. Use this to mark the roll for who is here.